It’s a volcano, but not the kind of volcano we’re used to seeing. 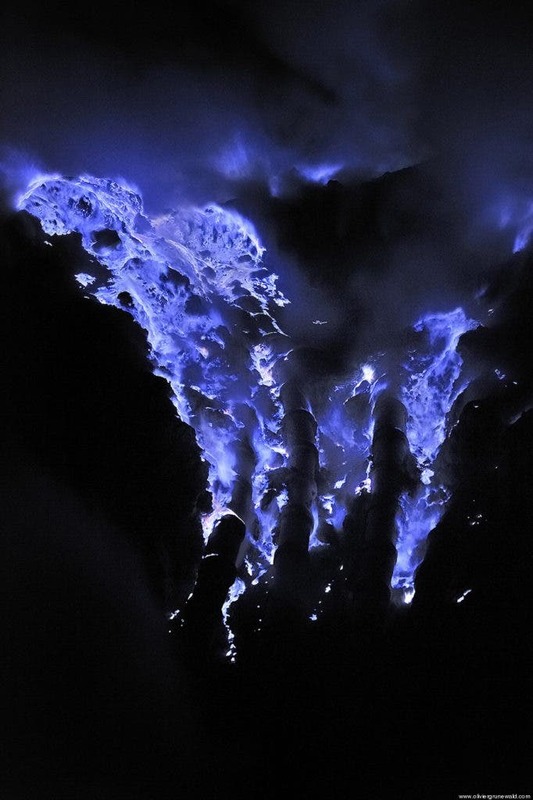 This is called a Cerulean eruption, and the blue tint that surrounds the lava comes from flames produced when escaping sulphuric gases burn. 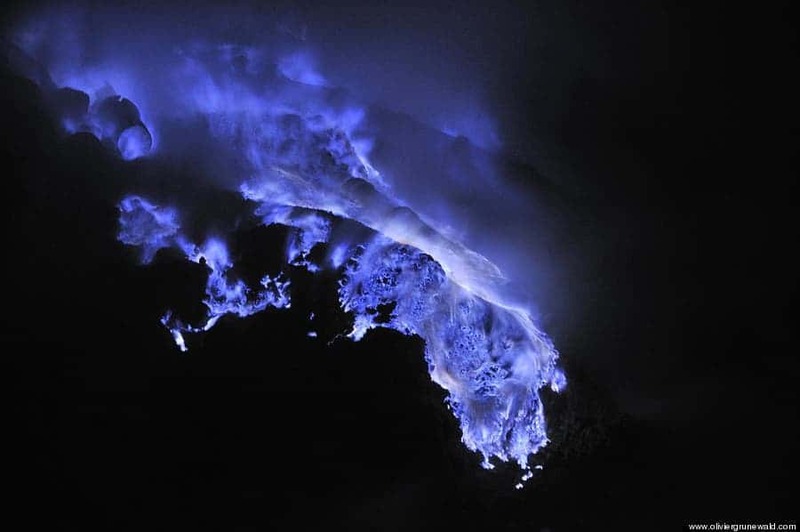 The volcano contains large amounts of pure sulfur, which emits an icy violet color as it burns, filling the air with toxic fumes. The picture above was taken in a low lying field in Ethiopia. 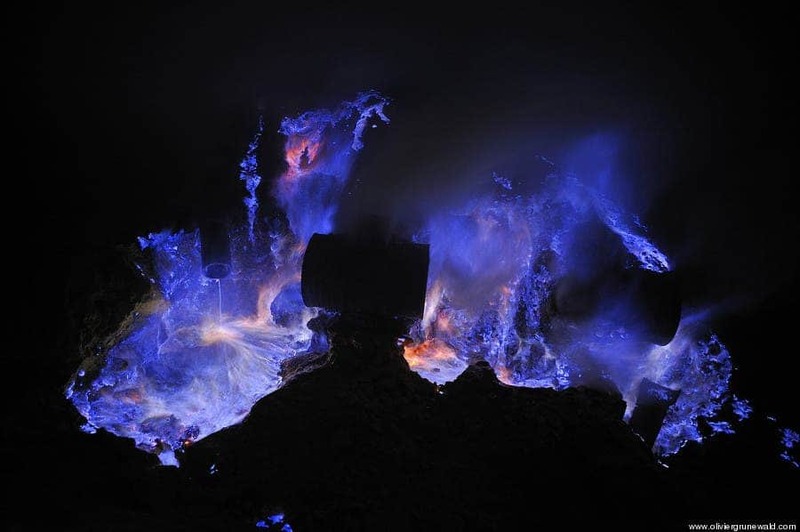 So what we’re seeing here is not actually blue lava, but normal, bright purple lava, surrounded by blue flames. Taking such a picture is never easy. French photographer Olivier Grunewald specializes on these images, which he takes without using any filters or image modification. In order to do this, he has to wait until dusk, when the blue flames are visible. He works with a gas mask to avoid breathing in the toxic fumes. The wind his biggest enemy. Grunewald in his “natural environment”. But even with all these precautions, after taking this photo, he had peeling skin and clothes smelling of rotten eggs for weeks. 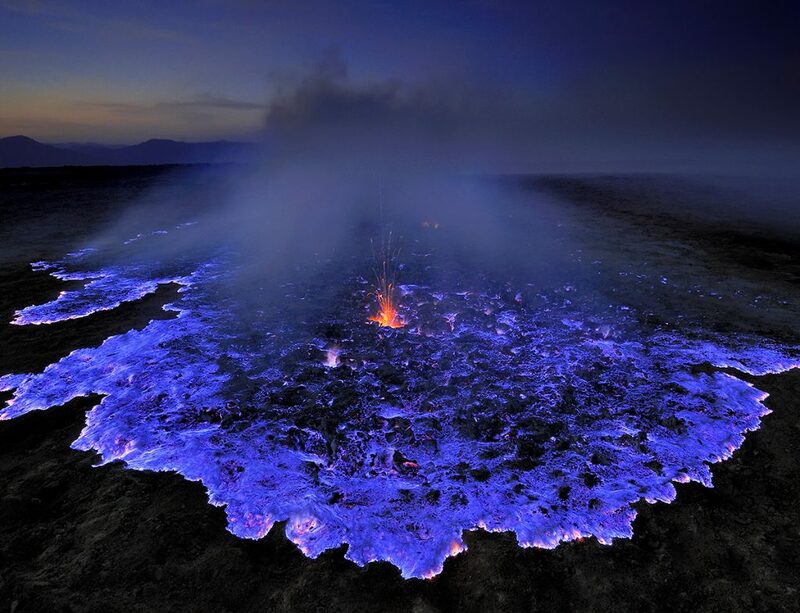 It’s not the first time Grunewald has traveled around the world to take pictures of the so-called blue lava. 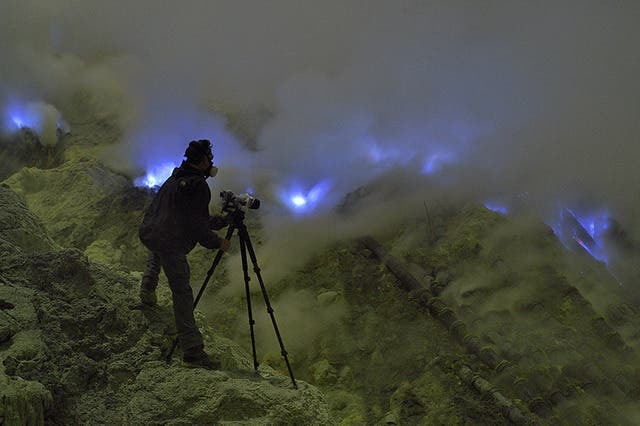 In January, he traveled to Indonesia, to photograph he surreal hue of Indonesia’s Kawah Ijen Volcano. The volcano is the subject of a new documentary produced by Grunewald and Régis Etienne, the president of Geneva’s Society of Volcanology, which was released earlier this year. Here, you can see some of the magnificent pictures he has taken, as well as a short movie documenting how he takes the pictures.